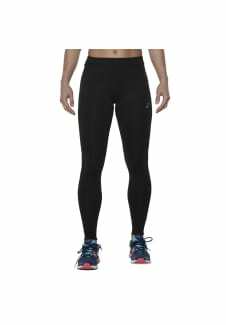 This essential women’s running TIGHT a great addition to your workout apparel. Getting to the finish line is easier in the right gear and this tight is designed to help you out. The seams in this TIGHT have been ergonomically displaced to offer unmatched comfort. With the seams out of the way, there’ll be no chafing to worry about. Enjoy great ventilation throughout your workout. The mesh inserts behind the knee allow your legs to breath. The tight is also enriched with ASICS MotionDry technology so that it wicks moisture away from your skin as you start to work up a sweat. This keeps you cool and comfortable for longer, helping you reach those higher distances and faster paces.